“In your struggle against sin you have not yet resisted to the point of shedding your blood” (Heb. 12:4). In Hebrews 12:1–3, we find the Christian life compared to a race. An athletic race must be run with endurance lest the competitors grow faint and give up before reaching the finish line. The life of faith must be lived in a similar way. Like the runner who must shed heavy clothing in order to run, so too must we cast aside those sins which entangle and hinder us (v. 1). Like the runner who runs the race for the prize, we must look to our prize, the Lord Jesus Christ, so that we will be motivated to run the race to the very end (vv. 2–3). In today’s passage, the metaphor for the Christian walk shifts from footraces to a boxing match. The original audience of the epistle had been fighting against sin and felt that their struggle was too hard to bear. The author, however, reminds them that things could be much worse. For this audience has yet to shed their blood in order to resist sin (v. 4). We must ask ourselves what the author means by this comment. What is the sin that is being fought? 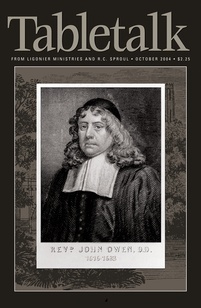 John Owen says that the sin we fight against may be of two sorts: either it is sin in ourselves or sin in those outside of us, whether our foes be demons or other people. We must therefore fight against both our sin and the actions of others that might tempt us to turn away from Christ. The people of God are continually at war with the forces of darkness. We have to face the enemies of God whether they are evil authorities, neighbors, or friends who hate Christ. All of these enemies conspire so that we will give up our confession. All of them seek to draw us away from Christ. Facing these enemies effectively means that we trust in God despite anything that may come our way. It means that we resist the sinful urge to abandon Christ in favor of comfort and physical safety. It means that we confess Christ even if it brings us financial loss, abandonment, or, in extreme cases, death. All of us must war against those enemies that would seek to draw us away from Christ. We are always tempted to give in to those things that Christ hates. In prayer, ask God to keep you from succumbing to temptation, and if you are continually indulging in a certain sin avoid tempting situations until you are strong enough to resist them.